What Makes a Great Website: Effective Design Tips! 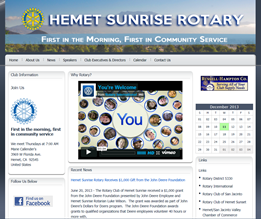 Your website is your public face and it is what defines your club to potential members and the community. It is meant to be representative of your club and informative but if it's hard to navigate through or is not as visually appealing, no matterhow engaging your content may be, chances are you are still losing readers. We get numerous emails every month to review club websites so we thought we'd share some tips with you. Often times when we evaluate customer websites, one of the things we notice is too much content, whether it be pictures, text, videos, links to download files or links to external sites. There is usually so much information all placed on the homepage, that we are left wondering where we click first or what we read first. 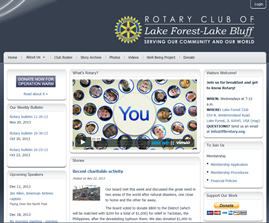 When the home page is cluttered, the visitor simply does not know where to look first and this makes it difficult to get information across to the viewer. Solution: As the website creator, you have to first think of who is visiting your website - members, prospective members, community members? This is your chance to guide their journey on your website. Think about minimizing distractions which can be anything from too many widgets to very long stories. Have contact information or meeting place information displayed clearly so prospective members can connect with you easily. Use big titles with large fonts and space out your content. Take advantage of the story brief and content sections to display only the brief on your home page and allow the reader to click on more to read the rest of the story, therefore minimizing the excess scrolling caused by long articles. As soon as anybody lands on your site, it is your responsibility to guide them through the site and the way you your content is outlined will define their journey. Don't over clutter your homepage - only show news items from the past 3 months. 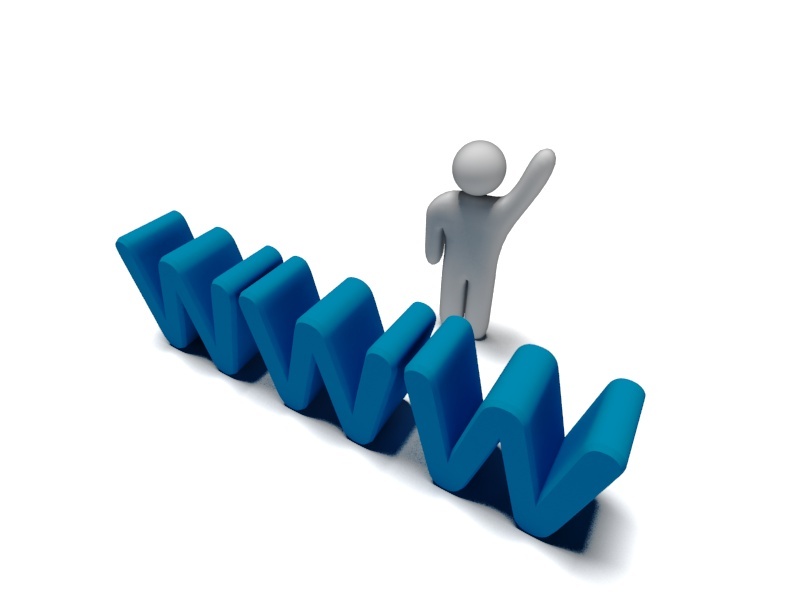 Think of your target audience and what your website is meant to do. Is it to share club news with club members only? Is it a way to engage with prospective members? It is important to setup your navigation to help both members and non-members find information easily. One of the most important goals of a club is to recruit new members, and your website is a great platform to help you in doing so. Having a call to action then is important. Solution: Ask for the sale! 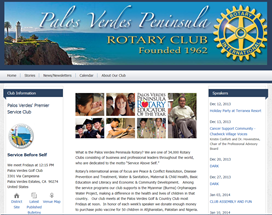 Invite potential members to experience Rotary. Are you using the Subscribe to Newsletter feature within your site? After reading your articles about all the great things your club is doing, you have an opportunity to further engage with that visitor. Have them subscribe to your newsletter so you can keep in touch with more exciting news and invite them to the next open house. If you would rather engage with website visitors on your social media channels, make sure you use our custom solutions to point them to that social media account. Perhaps you would rather have them leave comments on your stories or would rather have them join your club forum. This is the perfect opportunity to take advantage of the custom widget feature to incorporate such features to your site. 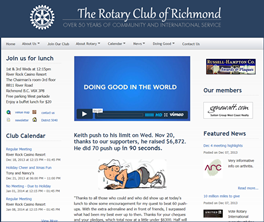 The following are a few clubs that exemplify great website design. You will notice that the one thing similar in each site is the minimal use of text and imagery on the home page. 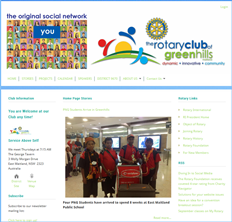 The moment the visitor lands on the site, they automatically get a sense of what your club does, where they meet, how to contact the club, and they all tell the Rotary story in some way. 2014 is the year of communication. 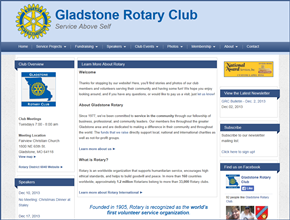 We'd love to see your website designs - please do share the link to your ClubRunner site on our Facebook page! We'd like to invite you to learn more about how to better use our website designer by joining us for our upcoming Website Designer 3.0 webinar. To view our schedule, please click here.